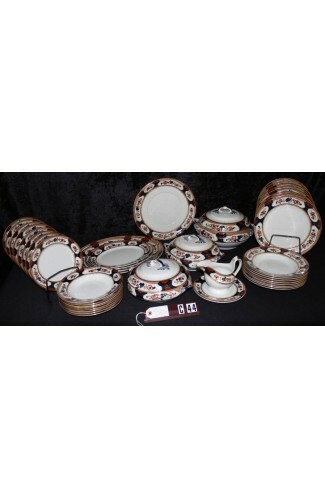 Vintage - Royal Cauldon "Victoria" Pattern #V7173, Made in England during the 1930's. 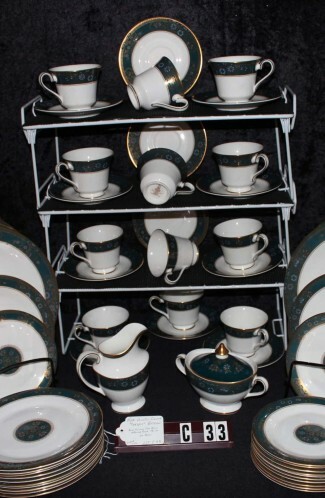 A large set of (79) Pieces, having a Full Service for (12) Twelve, including Service Pieces as well. 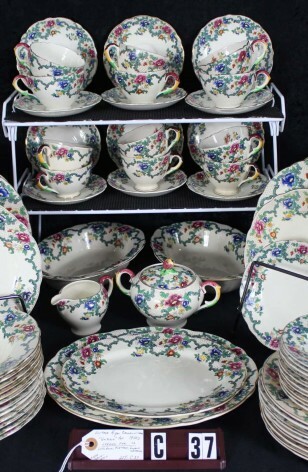 An Intricate, Stunning Pattern of Multicolor Flowers (Red, Orange, Yellow, Blue) on Green Scrolls, with Lattice Background, all on the Rim of the Plates, Bowls and Cups... with each having a Scalloped Rim, trimmed in beautiful 22kt Gold. Center of the items is an Ivory color. 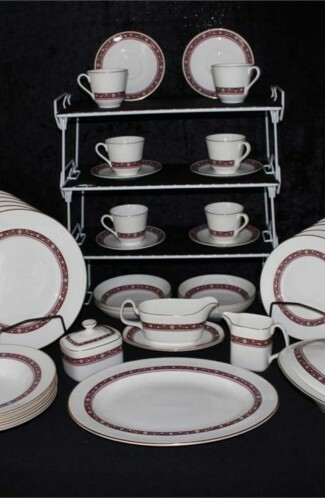 Vintage - Royal Cauldon "Victoria" Pattern #V7173, Made in England during the 1930's. A large (79) Pieces, having a Full Service for (12) Twelve, including Service Pieces as well. 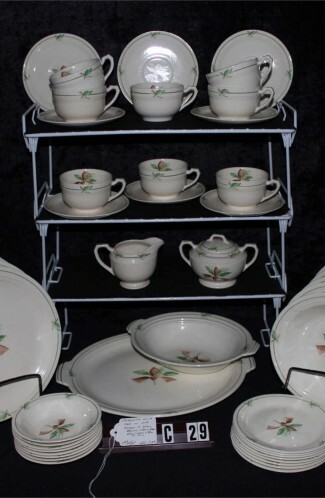 12 - Salad Plates - 8 1/4"